HEART ON YOUR SLEEVE is the most authoritative Brilliant Corners collection to date, boasting all their singles on the SS20 and McQueen labels plus numerous tracks which featured here for the first time on CD and a handful of demos and live tracks. • The Brilliant Corners might just have been the best band out of Bristol during the 1980s. • Taking their name from a Thelonious Monk jazz album, they issued ten singles, five albums and various compilations between 1983 and 1993. 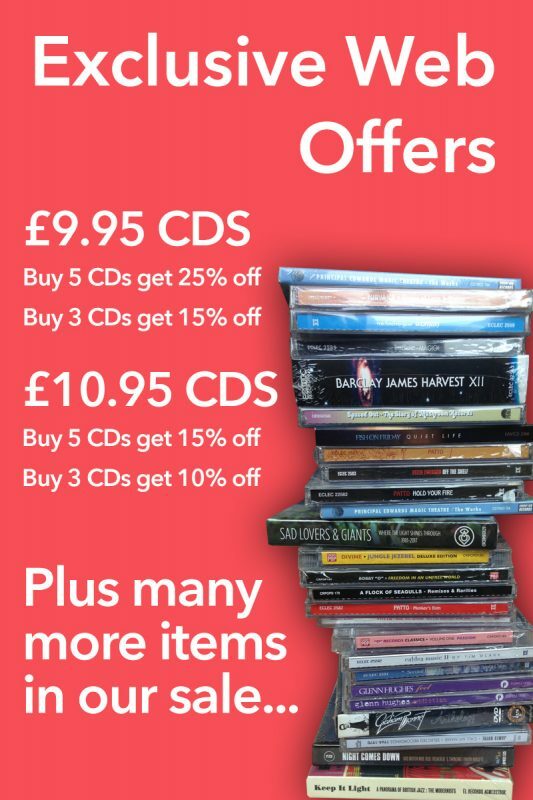 Many of them made the Indie Chart, from early efforts with hints of psychobilly and The Cramps to more melodic, C86-flavoured tracks (think The Smiths and The Housemartins) and later tracks with a hint of shoegazer and baggy about them. • In Davey Woodward, The Brilliant Corners were fronted by a handsome, charismatic singer who was also a talented songwriter – and Davey’s cooperated with this long-overdue anthology, helping with the track listing and supplying the entertaining sleeve-notes. 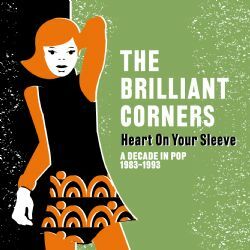 • HEART ON YOUR SLEEVE is the most authoritative Brilliant Corners collection to date, boasting all their singles on the SS20 and McQueen labels plus numerous tracks which featured here for the first time on CD and a handful of demos and live tracks.